On November 5, 2016, Douglas was traveling on the Brooklyn-Queens Expressway in stop and go traffic in the far left lane due to construction on the far right lane. While he was slowing to traffic, Douglas was rear-ended by another driver (that later claimed Douglas stopped short and could no avoid the collision). Douglas hit his head during the accident and briefly loss consciousness. Douglas was taken by ambulance to NYU Langone Hospital – Brooklyn where he had diagnostic testing performed and was given pain medication before being discharged. As a result of the accident, Douglas suffered injuries to his neck, back, and right shoulder. He experienced an aching and sharp pain to his right shoulder, and an audible clicking noise upon rotation of his right shoulder. When conservative treatment failed to improve his pain, Douglas underwent right shoulder surgery (rotator cuff tear), two lumbar epidural steroid injections (L5-S1), and two cervical epidural steroid injections (C7-T1). He missed several days of work and had to wear a sling on his right arm for two months. 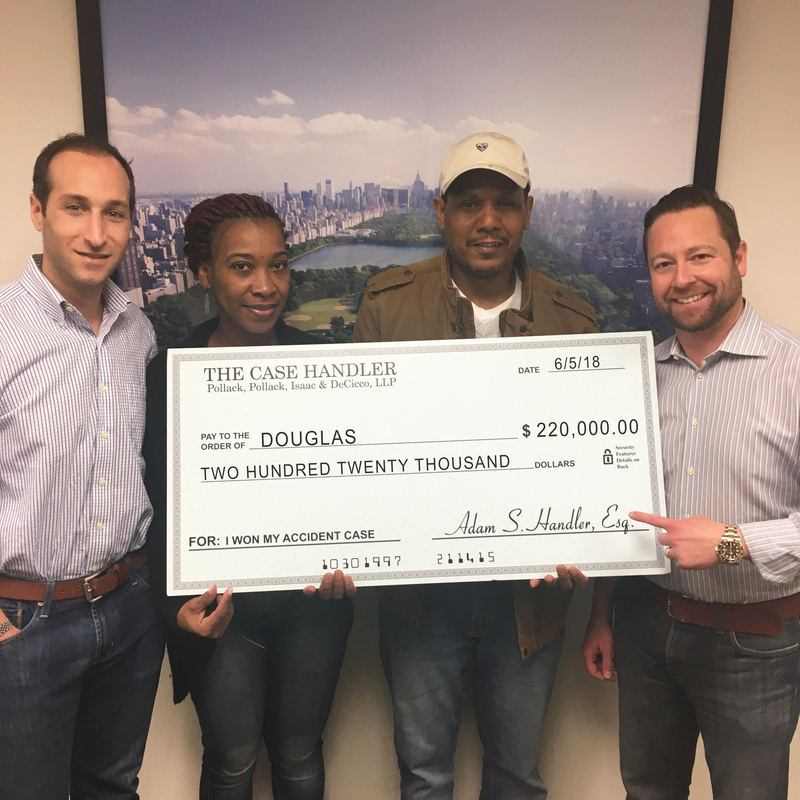 Douglas was referred to The Case Handler team by a coworker (thank you coworker)! 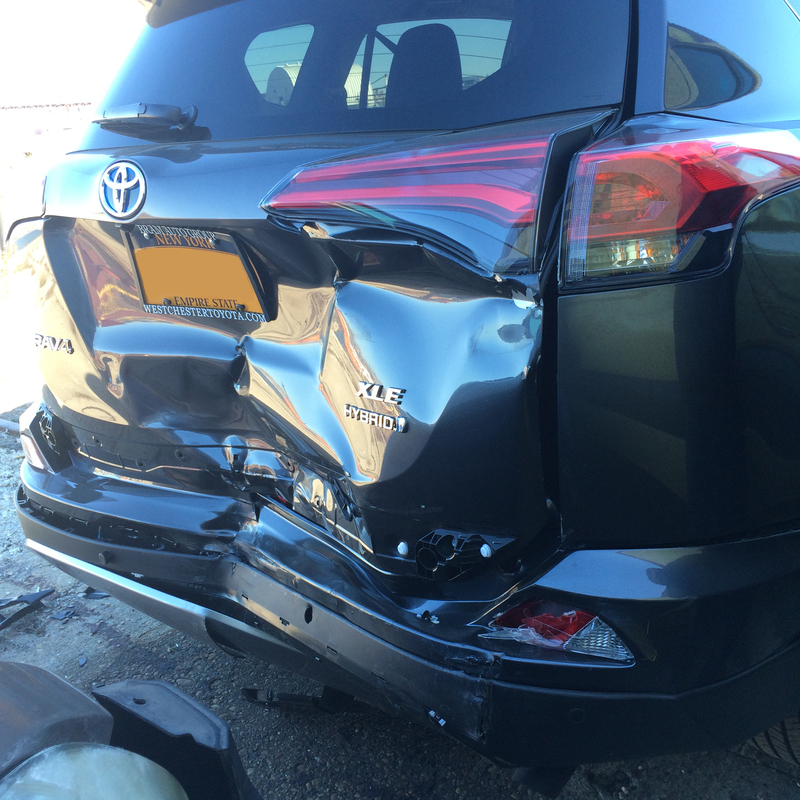 Our team investigated and found out that the other driver had a maximum bodily injury policy of $25,000 (State Farm). While this is a lot of money, we knew Douglas needed and deserved more compensation for his injuries. Fortunately, Douglas had underinsured motorist coverage on his own insurance policy – Geico! Do you think Douglas’ own insurance company (Gieco) willingly gave him the money? Nope. With the help of The Case Handler team, GEICO paid $195,000.00 the DAY BEFORE TRIAL was set to begin. This was in addition to the maximum $25,000.00 policy limit from the other driver’s insurance company!